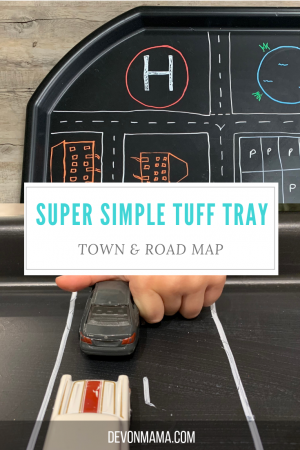 One of the simplest tuff tray ideas, this town and road map takes moments and ensures plenty of fun. 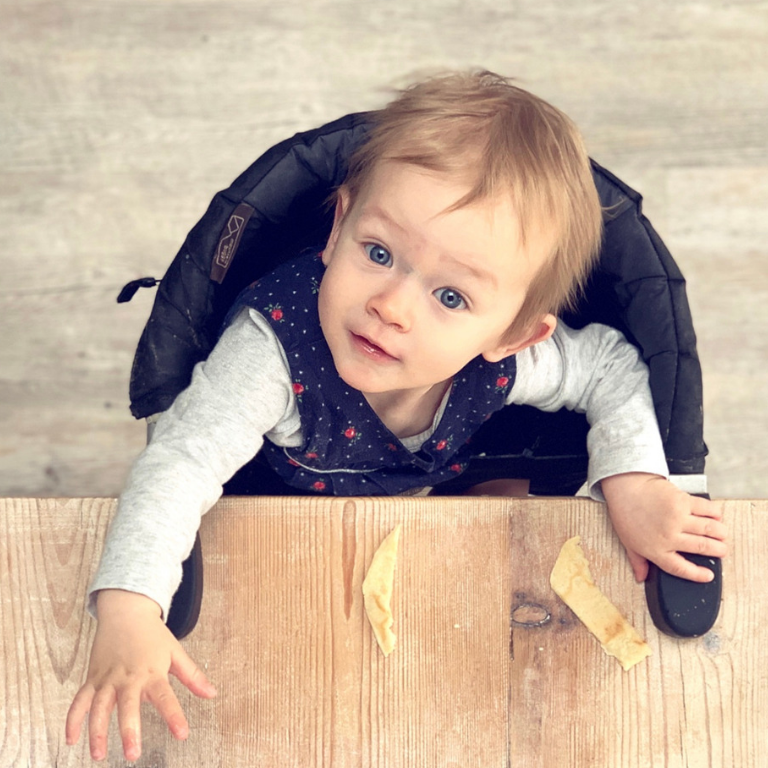 In the past we’ve used a roll out floor mat but this often creases and bunches as the toddler plays on it, upsetting his cars as he moves around. 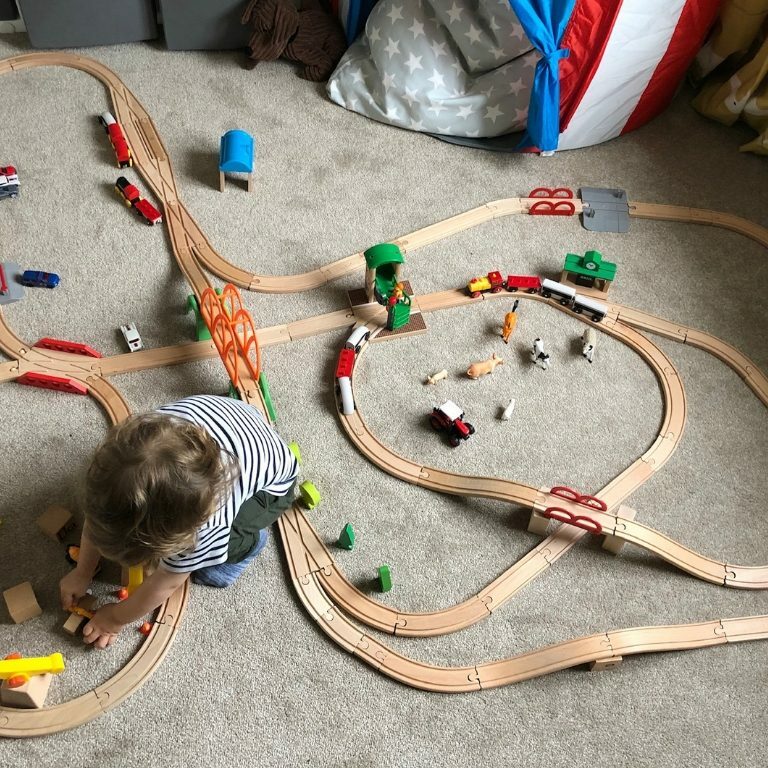 This way is just as easy, keeps the cars contained within the mat rather than all over the room and can be adapted to fit whatever layout he fancies. 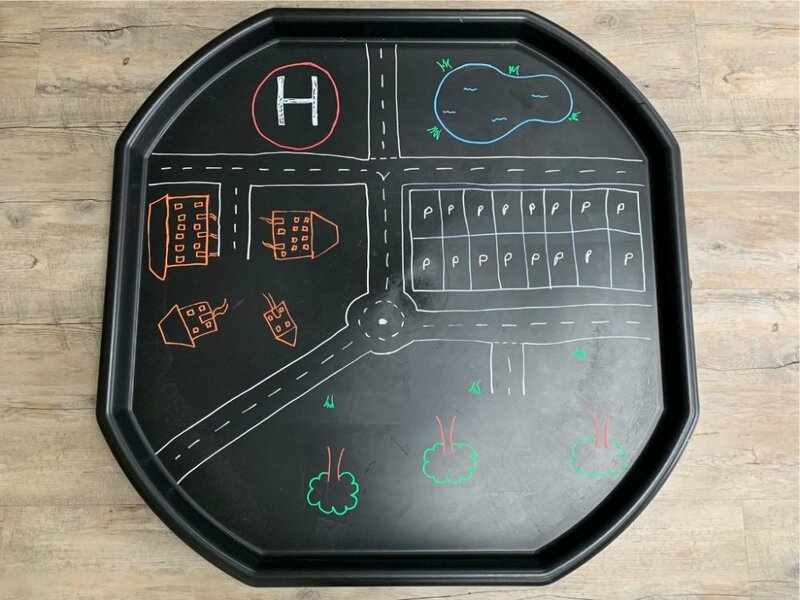 For this activity, we used the tuff tray, these chalk pens and a selection of cars that he already has at home – if you don’t have any, we love the Hot Wheels cars or these are great for toy town play. If you prefer, you can make the roads out of masking tape. For this one though, I prefer chalk pens. They’re not as hard wearing as the masking tape but you can put in curves, roundabouts and put road markings on to make the roads two way. 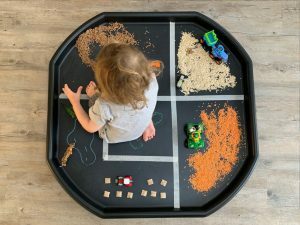 Related post: Have you tried this Tuff Tray easy farmyard fun? 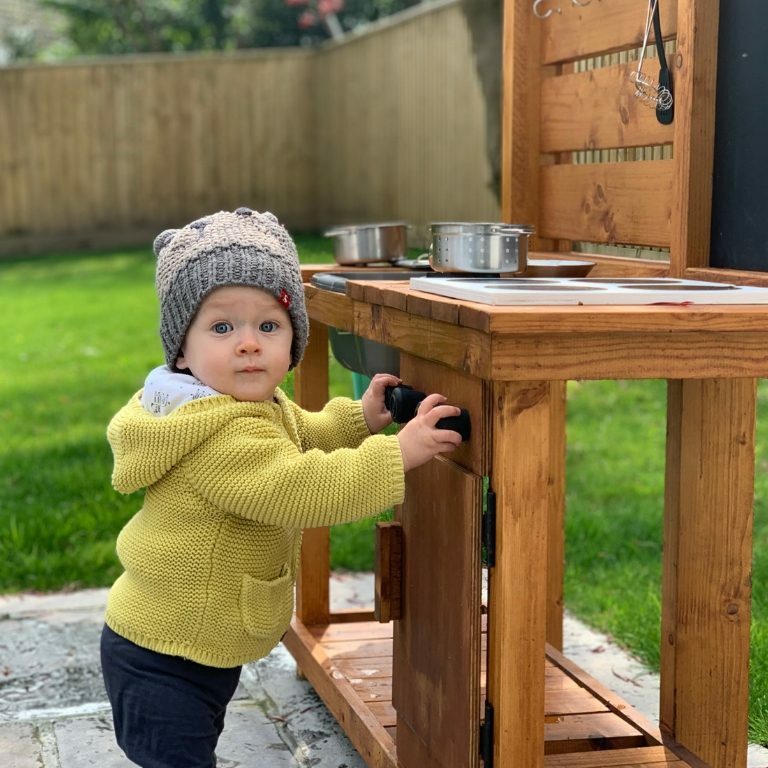 Once it’s all drawn, give it a moment or two to dry and then let your child loose. 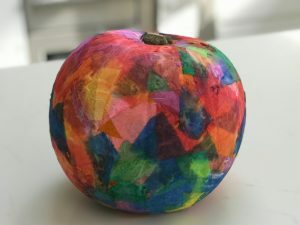 Chalk pens will wipe off slightly during play (far less than normal chalks!) – at the end just wipe your tray down with a damp cloth to clean them off completely. 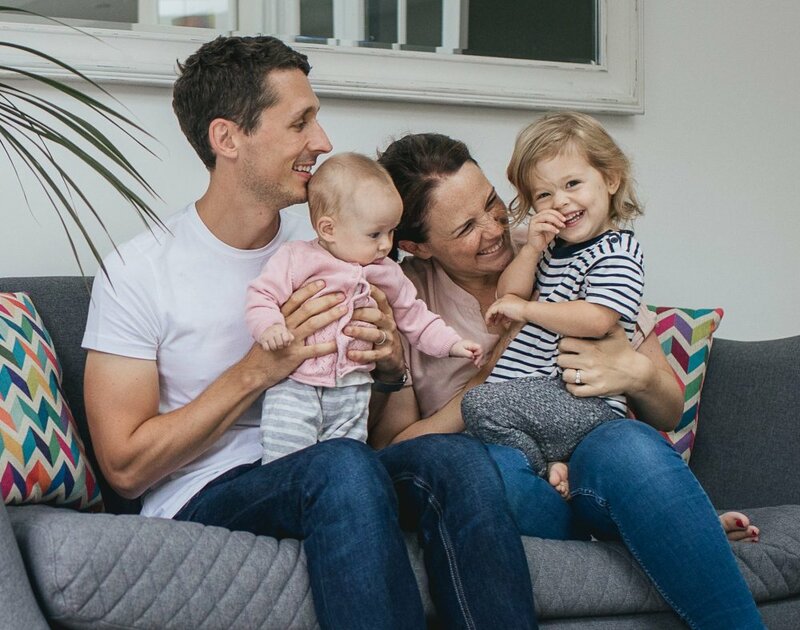 For more tuff tray ideas, click here.